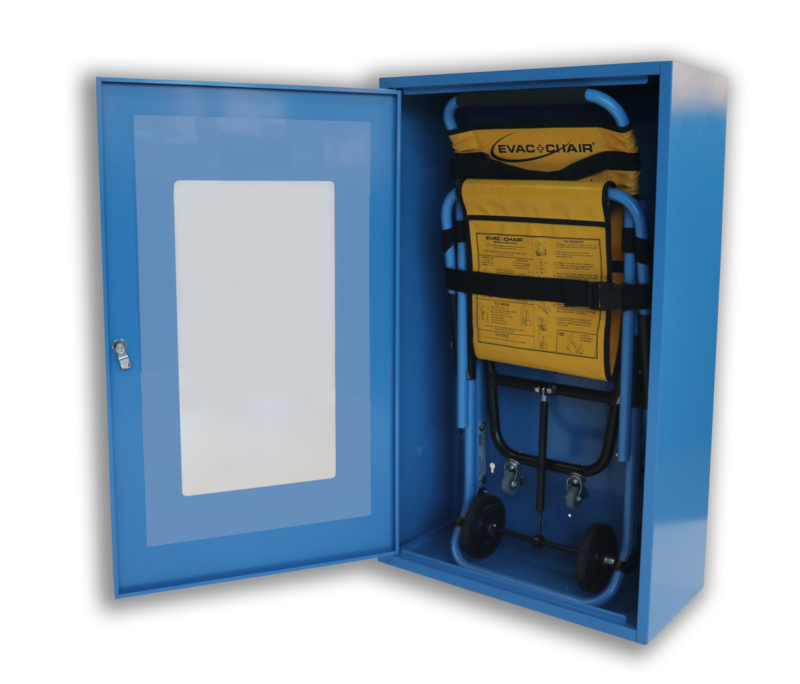 A secure epoxy painted metal cabinet for storing the Evac+Chair under key-holder management. It has a clear acrylic window to clearly view the Evac+Chair inside. It can be installed multiple ways so the front door can open to the left or to the right.